With the redesigned 2019 Altima, Nissan seeks to put excitement back in the family sedan segment. SANTA BARBARA, Calif. — In an era when electrification is the darling of what's new in automobiles, Nissan is changing the subject back to engine performance. That's a bold turn for Nissan, an industry pioneer in electric vehicles with the Leaf. But Nissan's redesigned 2019 Altima sedan is an effort to bring some excitement — and sales — back into the long-maligned and overlooked family sedan segment. The sixth-generation Altima, introduced to the media here, has a long list of enhancements and improved packaging. But one thing will stand out on customer test drives now that the car is reaching showrooms: It is arguably the best-performing version ever. Every trim level offers quick and smooth acceleration and nimble handling. When speed is summoned, the Altima delivers quietly and without strain. The makeover includes a ”virtually new" engine, representing what the company calls its biggest-ever investment in powertrain. The engine, a 188-hp, 2.5-litre direct-injection four-cylinder, is technically a carryover, but 95 per cent of it is redesigned. In addition to gaining nine hp and a slight boost to 180 pound-feet of torque, its redesign resulted in reduced noise and vibration and improved fuel economy. Nissan has also introduced a standard intelligent all-wheel-drive system on all grades of the 2.5-litre version, making the Altima the first Nissan sedan to offer awd in Canada. The system provides on-demand torque distribution and hill-start assist for low-grip surfaces. There are numerous other engineering and feature enhancements. The suspension received a 15 per cent reduction in longitudinal stiffness to eliminate the feel of road bumps, and a 10 per cent tightening in lateral and roll stiffness to dampen body movement. Inside, the updated cabin shows a more open, modernized dash and instrument panel, and an eight-inch customizable colour display screen. Apple CarPlay and Android Auto now come standard. The seating is sturdier, and a sportier steering wheel feels more substantial to hold. In addition to an expanded array of safety features, the brand's NissanConnect system now allows software features to be updated over the air and provides navigation with real-time traffic updates. "We are bullish on the sedan market," said Anne Corrao, chief marketing manager for the vehicle. 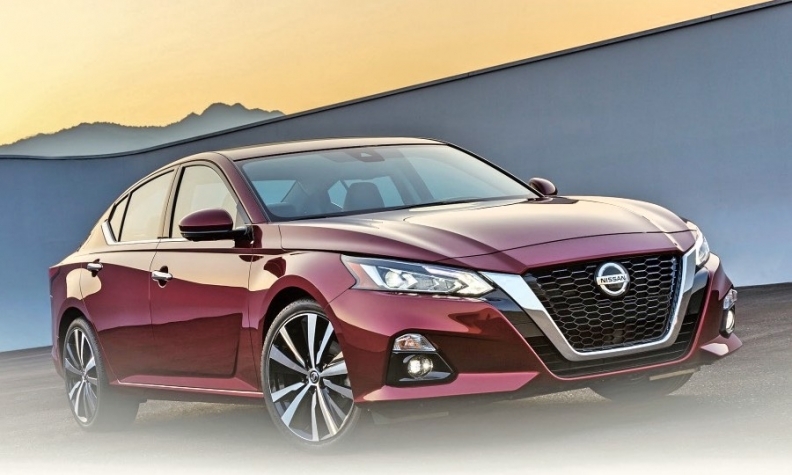 "Altima plays a huge role. It is our brand ambassador. It's the car that put us on the map, and we continue to see this segment perform for us. "We see Gen Z and Gen Y looking for something that has fuel efficiency, driving dynamics, that's a good price and has a lot of tech in the car. So Nissan has made a huge investment." Pricing, including shipping, starts at $29,793 for the Altima S.